Go to the Debug menu and choose Other Debug Targets then Debug Installed App Package as shown in the screenshot below. Choose your app from the list and make sure the “Do not launch, but debug my code when it starts” option is ticked as the following screenshot shows. Now go to another app and initiate a share to your app. 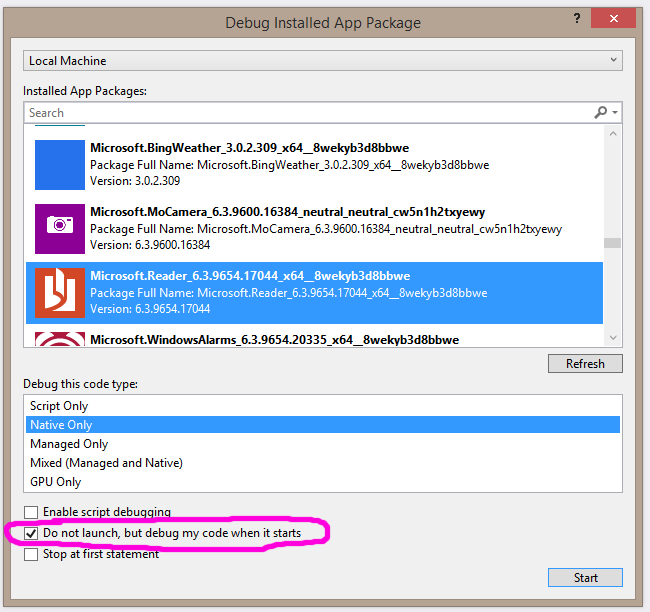 Your app will launch and the debugger will attach, allowing you to break into code if share to is causing an exception. To manually cause a registered background agent to run for your app. 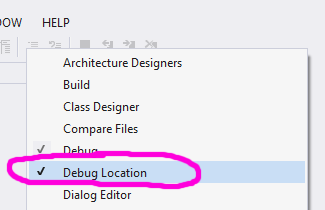 Start debugging your app from Visual Studio as normal. Once your app has registered your background agent, switch back to Visual Studio. Then head over to the Lifecycle Events drop down, open it and you’ll see you background agent listed (occasionally I’ve had to open the drop down twice to see the agent…). Then just click on the name of your agent and it will execute allowing you to debug it.